Everyone needs to brush their teeth, but the majority of people use cheap plastic toothbrushes that don’t get the job done right. This is why an electric toothbrush is a worthwhile investment. Unfortunately, big name brands charge a hefty price for their electric toothbrushes. If you’re looking for an affordable alternative with plenty of extra features, this $39.99 AquaSonic electric toothbrush maybe for you. 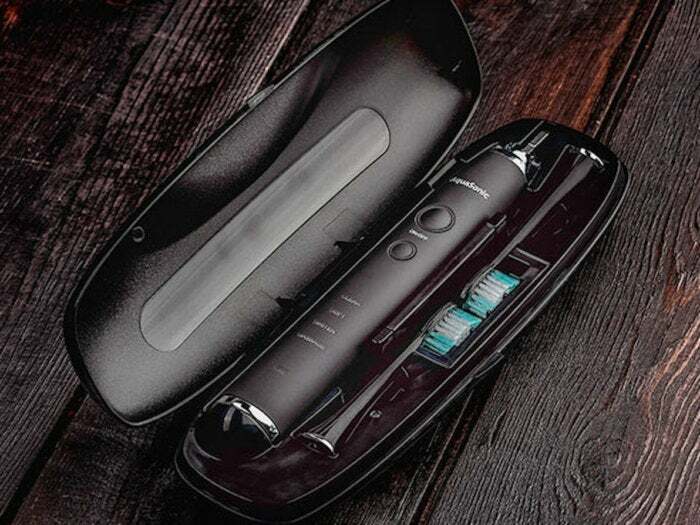 The AquaSonic Black Series Toothbrush offers a deeper clean than a standard toothbrush thanks to its 40,000 VPM motor, which dissolves stains and whitens your teeth simultaneously. It features soft, whiten, massage, and cleaning modes, which is useful if you have sensitive teeth. Additionally, the Aquasonic comes with a handy travel case and 8 dupont brush heads, so you can maintain your oral health anywhere you go. You only have one set of adult teeth, so buying an electric toothbrush to take care of them is a must. You can find the AquaSonic Black Series on sale in the Macworld Shop for just $39.99, or 78% off. This story, "This Sonicare Alternative Is Just $40 Today" was originally published by Macworld.